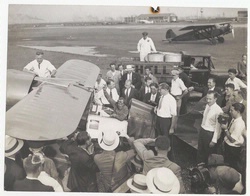 Jimmy Doolittle faces Roscoe Turner and Bob Hall in the 1932 Thompson Trophy Race. The Thompson Trophy event was a free-for-all in which contestants raced each other around pylons. 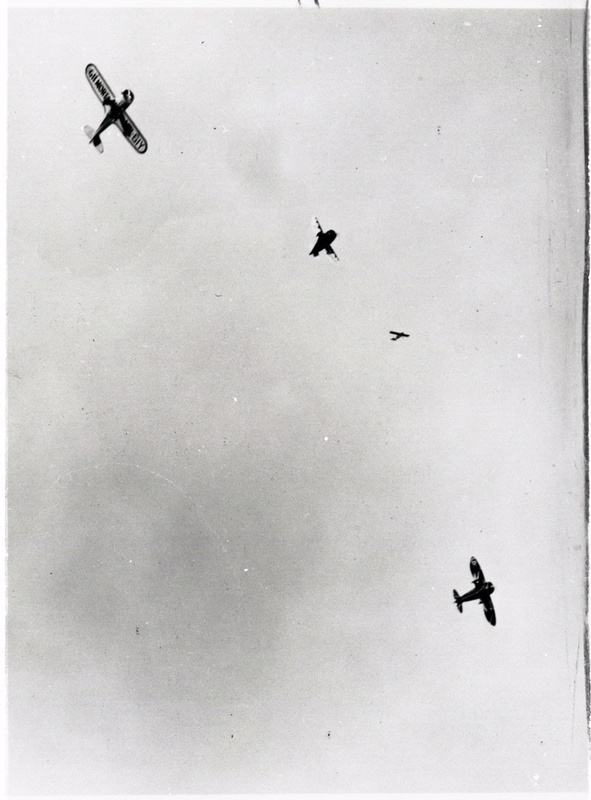 In the foreground from left to right, Roscoe Turner in his Wedell-Williams, Jimmy Doolittle in his Gee Bee, and Bob Hall in his Bulldog round a pylon in the 1932 Thompson race. National Air and Space Museum (NASM 9A06240), Smithsonian Institution.